Download Ocodewire's Magento® Daily Deals Extension to display new discount or latest offer on products. This extension helps you to create and manage daily deals or offers for one or more than one product on your site. 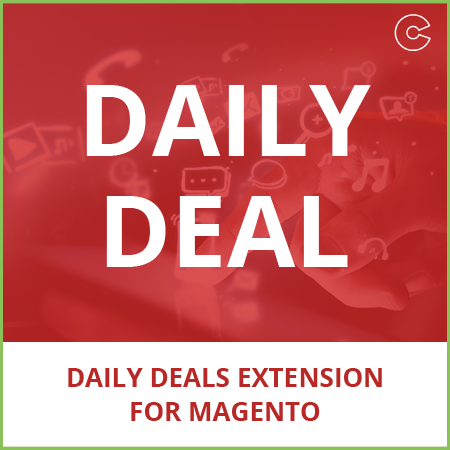 Our Magento® Daily Deals Extension helps customers to access the full list of deals in one click. You can easily promote your website worldwide and attract the other country customers as well. Step 1: Install the extension with Magento connect. Step 3: Now while adding/editing product under left tab Product Information->Daily Deal Product Options, there are options to enable the product for daily deals, set its price and dates, enlist it as a Featured product. - Shows all the products enabled. Step 5: Countdown timer will be automatically inserted on the Single product page and Category Grid/list pages. 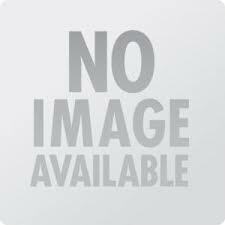 Easily access full list of deals in one click. 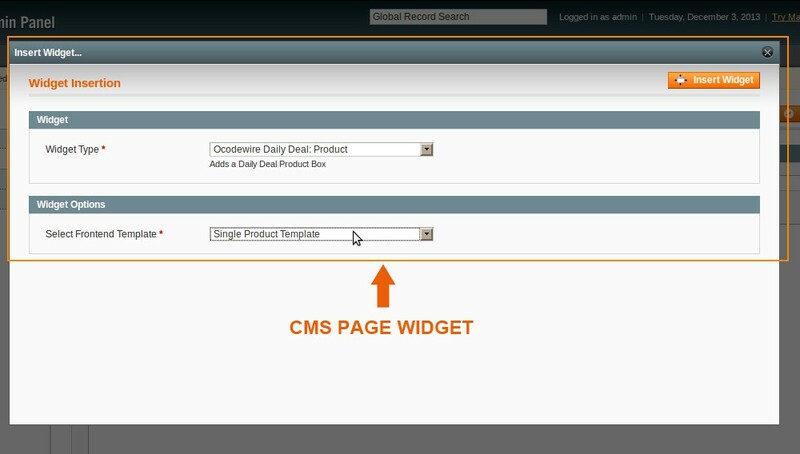 Use as a widget on any CMS page with two templates: Single product and Multiple products. Create a static block using the widget and use it accordingly. Insert a daily deal box on Category Grid/list page and Single Product page automatically. Easily to install and customized. Q: Error 404 after installation while browsing BW daily deal configuration in admin? A: If you get Error 404 after installation while browsing BW daily deal configuration in admin, please flush the cache, log out from the admin and log in again. 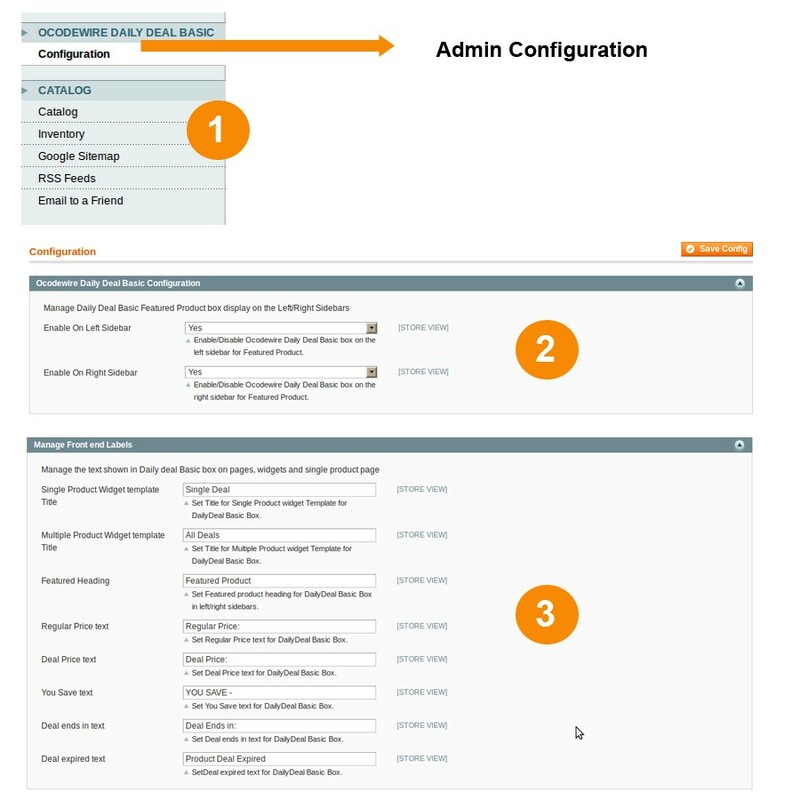 You can manage the configuration without 404 error now. 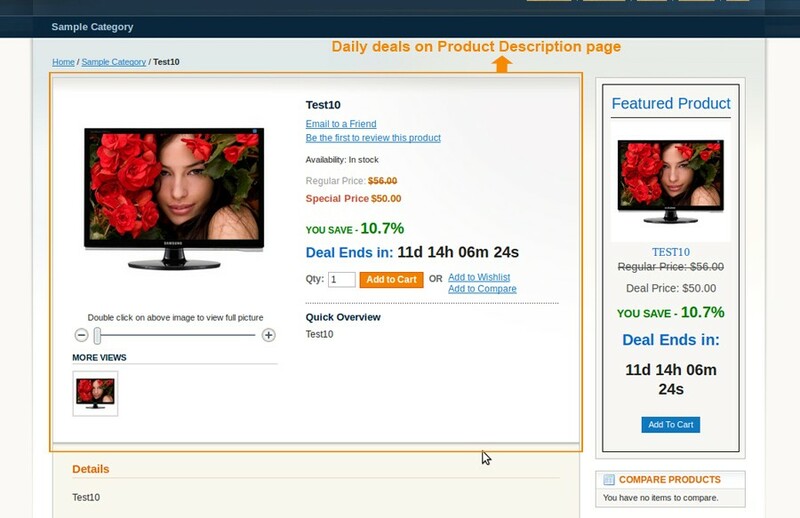 Q: Insert BW Daily deals widget in to CMS page? A: To insert the daily deal widget (Single product/multiple products), edit the CMS page in admin and click on the insert widget button if not using the WYSIWYG editor else click on the insert widget icon. Now select the ocodewire daily deal widget, select your template, save the CMS page. That's it. Q: How to set product as Featured product for Daily deal sidebar widgets? A: To set product as a featured product, while adding/editing product under ocodewire daily deal options select the featured product to yes and save. 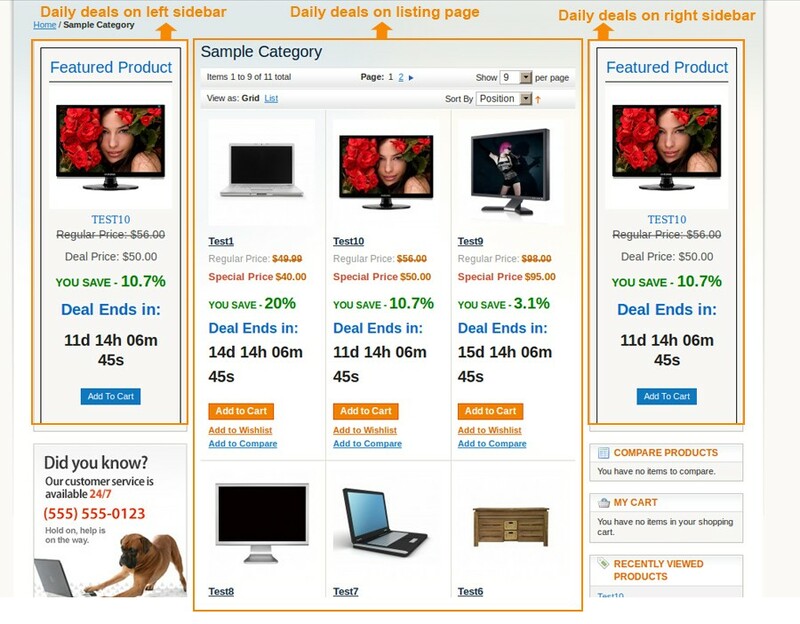 Your product is now set as Featured product for daily deal sidebar widgets.